Support is a big thing in a lot of aspects of life and camera mounts are no different, that’s why we decided to come up with a guide to camera mount options because choosing the right mount can be a huge difference in getting sturdy and sometimes even waterproof/dustproof support or getting a broken or life shortened camera that you spent hundreds or hundreds of thousands of dollars on, only to be stuck with a mounted paperweight. When it comes to choosing the right mount for your camera it can seem like a lot of complicated options and similar sounding names and functions but the details can make all the difference. The first thing you want to consider may seem obvious but its a very important question that will diverge down two different paths, and that is whether you will be needing a mount designed for an outdoor or indoor camera(s). The second thing you will look for is where you want your camera to be mounted. What kind of angles and spaces in and around your building provide a good point of view and open space to easily mount a camera? What kind of objects can potentially get in the way or what kind of decor do you have that may prevent spots from being used? You want to go over these things for your personal space that you are thinking about mounting a camera to and plan accordingly as location can be a make or break it thing and possibly make extra work if not planned out all the way. One of the biggest questions you will face with choosing a mount is the location choice. Depending on factors such as surrounding area, foliage and plant life, telephone poles and wires, man made objects, etc. and that is just for outdoors. Indoor you have equipment and furniture to get around as well and clear paths or choose creative angles to get the positioning just right and get the most out of the mount and camera system you’ve purchased. If you have a camera you would like to mount outdoors you can choose from a range of options between wall, pole, pendant, and gooseneck mount options and depending on if its an area that gets a little colder or hotter than most other places we have dome and long body housing with heaters and cold air blowers to keep the camera at a stable temperature and reduce fog and glare, these are perfect for outdoor IP or network cameras. Dome covers will come in a tinted or clear dome and indoor installed cameras can be easily mounted on the wall or on the ceiling as well as pendant or a pole mount if available. All in all we have a ton of selection in both outdoor and indoor options whether its ceiling mounts, dome housings, pole mounts, outdoor and indoor housings, pendant mounts, rack mounts, swing mounts, tinted/clear dome housings, wall mounts and waterproof camera housings it really just comes down to how you want to set up your system and creatively maneuver your cameras to meet your security needs. Whatever angle or job you are trying to capture we have the tools to help make it happen no matter how complicated or impossible it may seem. Whether you need a budget friendly option or the big budget option all of these mounts are amazingly capable and will give you a bang for your buck and then some. It all comes down to the size and layout space you need to oversee and how much you have in mind to spend to accomplish making your business secure. 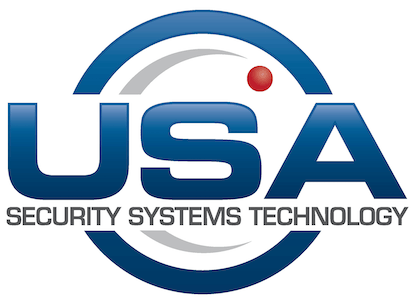 Be it one of these or many of the other selections we have you can be sure that we carry everything you need at www.usasecuritysystems.com and will be able to help you design your own system if needed by calling us at 888-875-6091 and speaking to a sales person directly so that we can cater to your specific needs.